Protesters on both sides of the gun debate converged Saturday on Chuck’s Gun Shop in suburban Riverdale, where critics say is where many of the guns used in Chicago crimes originate. 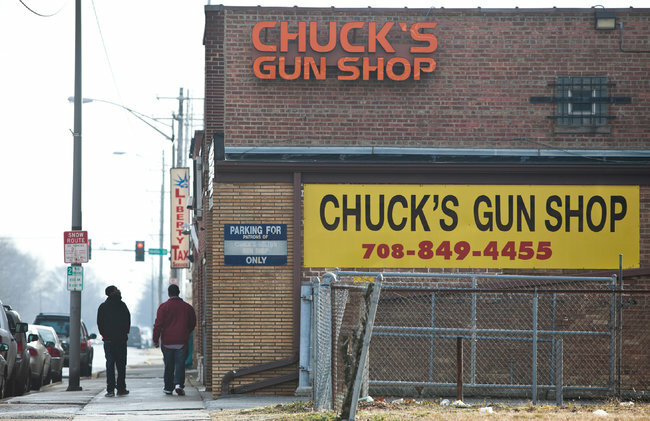 The group said 1,500 guns used in crimes in Chicago between 2009 and 2013 were traced to Chuck’s Gun Shop. The owners of Chuck’s declined comment. Chuck’s remained open during the demonstration as two men guarded the front door denied entry to the protesters.